For all your commercial roofing needs, Roofworx & General Contracting is here to service you in the Fort Worth and Dallas, TX area! Are you looking for a simple roof repair? 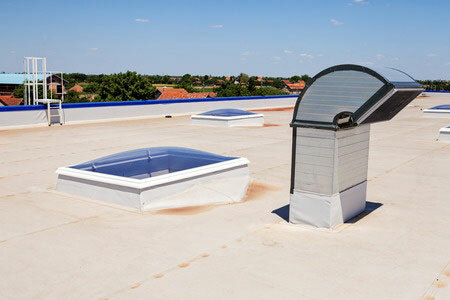 Or maybe your commercial roof needs a total roof replacement? Whatever your needs are, we can help you – contact us today at Roofworx! Let Roofworx & General Contracting Help With Your Commercial Roofing Services! Call Roofworx & General Contracting In Fort Worth and Dallas, TX Today! Whether your needs are in EPDM roofing, a roof re-coating or you are interested in a stone ballast removal, our professional roofers can help save you money with our expert services and years of experience in the roofing industry. If your current roof is made of metal or PVC, you can be sure that we are here to save you money with our replacements and installations. We are the Fort Worth and Dallas roofing experts, helping your commercial properties roof and giving you the exceptional service you need! Updated on April 3, 2017 at 2:54 pm by Roofworx & General Contracting.